How to Manifest Abundance: Change a Negative Mindset Instantly! 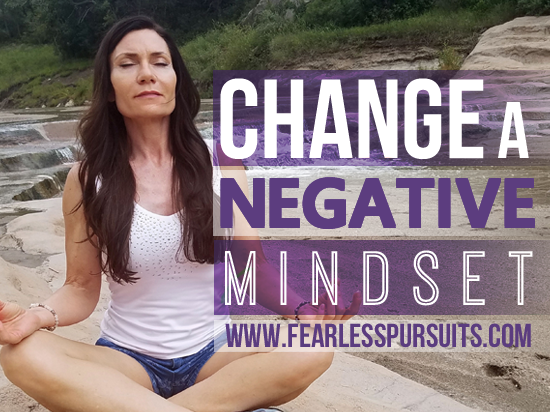 How to Manifest Abundance: Change a Negative Mindset Instantly! When you’re learning how to manifest abundance, it’s one of the first things you need to know. so I’ll ask you straight away, do YOU have an abundance mindset? Sounds important, right? Just what is an abundance mindset, though? It’s an unconventional way of thinking that happens to be one of the keys to unlocking the full potential of the Law of Attraction and living a happier life. Anyone can make use of the Law of Attraction’s basic principle of ‘ask, believe, receive’. However, you won’t get very far if you don’t change the way you feel while you’re asking. That’s where the ‘you get what you give’ part comes into play, and it’s where this powerful mindset switch comes in. Let’s break it down. The difference between an ABUNDANCE mindset and a SCARCITY mindset is simple. An abundance mindset is focused on feeling love for what you want, while the scarcity mindset is focused on what you don’t have. In both cases, you want more than what you have, but the feeling behind it is completely different. As you’re learning how to manifest abundance, understand that how you feel while you’re asking for what you want plays a key role in your success. How is it so different? It’s the feeling of love for what you want that brings it to you, not the desperation to leave lack. It doesn’t matter how badly you want something, and no matter how often you ask for it. When the energy you’re giving is from desperation and panic, only more panic and desperation will come to you. How do you have an abundance mindset through day-to-day stress? First, we want to understand why we want it, and how much it will mean to us. Anything that you want badly enough, you can make possible. A mindset switch can be the easiest new habit to make, especially if you use tools or other people for accountability. Not only will changing your focus from lack to love help you attract things to you more easily than ever, it will also drastically improve your mood. You feel what you choose to focus on. Gratitude is the fastest way to boost your mood when you’re feeling stressed or sad, because it’s impossible to feel both at the same moment. Some easy ways that you can consistently change a negative mindset is to set reminders on your phone. Have it say something that’s simple and meaningful to you. You could have it tell you to think of three things to be grateful for. Later, have it remind you to meditate on what you want with a feeling of love. With enough of your attention and energy given to gratitude and love, you can outweigh the negativity you experience. More love and gratitude is sure to come back to you. What is a new feeling that you could focus on? You get better at being able to change a negative mindset with practice. Instead of wanting money because you’re focused on not having enough… Think about what it would feel like to have more than enough. Meditate on the peace it would give you to be financially secure. Meditate on the surprise of receiving it in surprising ways. Imagine the pride of your hard work being recognized, and being rewarded with a raise. Don’t ask for more love in your life because you feel lonely. Feel love for what it would be like to be adored by someone else. What do you want and how could you flip the meaning behind asking for it? I’d love to hear your thoughts below. Are you a woman seeking to manifest your soulmate? You can begin the exciting journey with someone to hold your hand all along the way right here, right now. It’s not just any ol’ life advice from somebody who’s “been around”… you’ll be getting powerful strategies straight from the mind of the renowned and widely recognized Love Coach, Sami Wunder. thank you for the great reminder to live with gratitude. so often in life we can feel overwhelmed or saddened by our situations. having our heart & mind filled with gratitude instantly lifts your mood and outlook. great blog. we love watching your inspiring videos as well. It is just a reminder isn’t it? We all say we know so much about how to change our lives but yet, most tend to still not have what they want. I’m so happy that you enjoyed it!